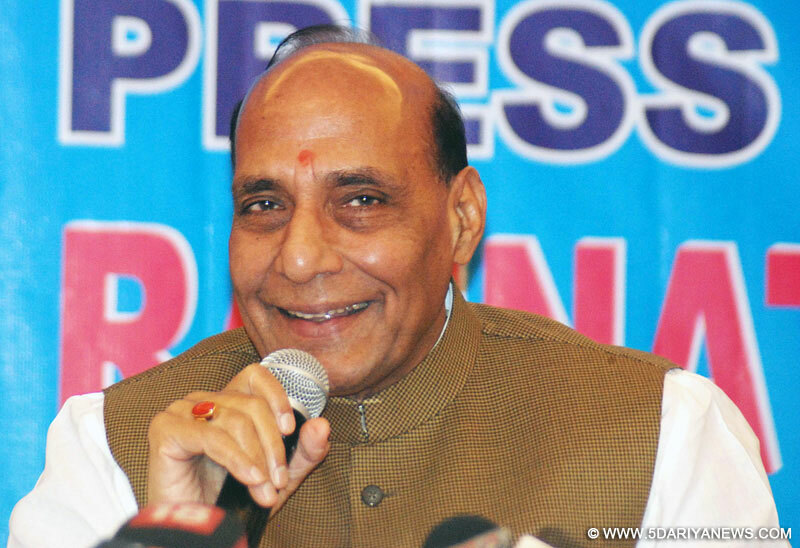 BJP president Rajnath Singh said Monday the highest turnout in the Lok Sabha election was a clear indication of change and people wanting a government with a full majority.In a statement here, Rajnath Singh said people wanted to give a full majority to a Bharatiya Janata Party-led National Democratic Alliance government under the leadership of Narendra Modi. "The highest polling in 2014 election was a clear indication of people wanting a stable, effective government with full majority," Rajnath Singh said. "It is naturally a reflection of people's desire for change (of government)," he added.The BJP leader said he was confident NDA will get full majority and "we will take the country to new heights".The national voter turnout of 66.38 percent in the 2014 general election was the highest in Indian polls. The NDA is seeking to oust the Congress-led UPA from power.